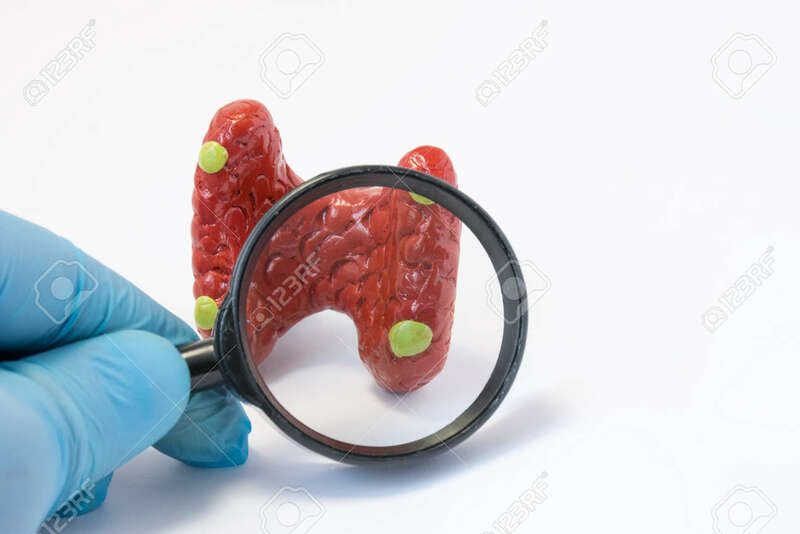 Search Disease, Abnormalities Or Pathology Of Parathyroid Glands Concept Photo. Doctor Holding Magnifying Glass And Through It Examines Model Of Parathyroid Glands, Conducting Diagnostics For Disease Royalty Free Stok Fotoğraf, Resimler, Görseller Ve Stok Fotoğrafçılık. Image 87388318.